Blog Website Designing with hosting for your new website. When you want to have a website to write private articles then you need a blog website. This Blog Website will display your articles, products or services, company profile with your contact details and an enquiry form. Your visitors can interact with you by posting their comments or reviews on your articles or posts. 50 Pages Website Designing with hosting for your new website. When you just have a small business then you need a small website for your company. This 50 Pages Website will display your products, services, company profile with your contact details and an enquiry form. It will fulfill your requirement. 25 Pages Website Designing with hosting for your new website. When you just have a small business then you need a small website for your company. This 25 Pages Website will display your products, services, company profile with your contact details and an enquiry form. It will fulfill your requirement. 10 Pages Website Designing with hosting for your new website. When you just have a small business then you need a small website for your company. This 10 Pages Website will display your products, services, company profile with your contact details and an enquiry form. It will fulfill your requirement. 5 Pages Website Designing with hosting for your new website. When you just have a small website requirement then you need a small website for your company. This 5 Pages Website will display your products, services, company profile with your contact details and an enquiry form. It will fulfill your requirement. 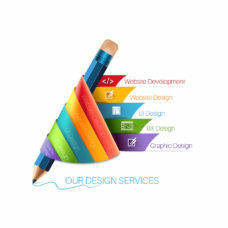 One Page Website Designing with hosting for your new website. When you just have a small website requirement then you need a One Page website for your company. This One Page Website will display your products, services, company profile with your contact details and an enquiry form.